Plentiful sunshine. High 68F. 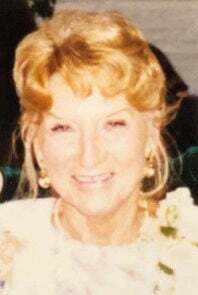 Winds NNW at 10 to 20 mph..
PARK HILLS -- Ella Gean LaHay, 80 of Decatur, Alabama, passed away peacefully in Bartlett, Tennessee, on April 5, 2019, surrounded by her loved ones. Ella was born on January 1, 1939, in Wilmington, North Carolina, to the late Charles Claude and Eloise Meredith (Reed) Thornton. She was preceded in death by her husband, Donald LaHay; sons, Roy, Michael, and Keith James; brother, Charles “Buddy” Thornton; sisters, Temperance McGhee and Mamie Fowler. Ella is survived by her children, Tamara (Charles) Hormann of Memphis, Tennessee, Steven (Hilary) James of Burke, Virginia, John James of Chinquapin, North Carolina, Scott James of Wallace, North Carolina, Paul (Rebecca) James of Greenville, North Carolina, and Shara (John) Lynch of Gallatin, Tennessee; 18 grandchildren; nine great-grandchildren; sister, Anne Thornton; brother, John “Jasper” Thornton; many nieces and nephews. Ella was a lifetime homemaker and a career Navy spouse. She had a sharp wit, an amazing sense of humor, and a deep interest in politics. She loved her plants and her animals and took in many stray cats and dogs over the years. 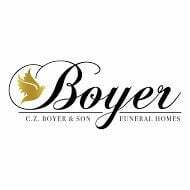 Visitation will be Sunday, April 14, 2019, from 3 p.m. until 4 p.m. at C. Z. Boyer & Son Caldwell Chapel in Park Hills. Interment will be held at Jefferson Barracks National Cemetery in St. Louis where she will be laid to rest with her loving husband. A memorial donation may be made in Ella’s name to the SPCA (Society for the Prevention of Cruelty to Animals of Texas) spca@spca.org. View obituary and share condolences online at www.czboyer.com.